© Satvik Shahapur. All rights reserved. A trained dancer part of the famous yak dance, a famous sikkimese dance. This dance is equal parts entertaining and educative. The locals seem to love it. 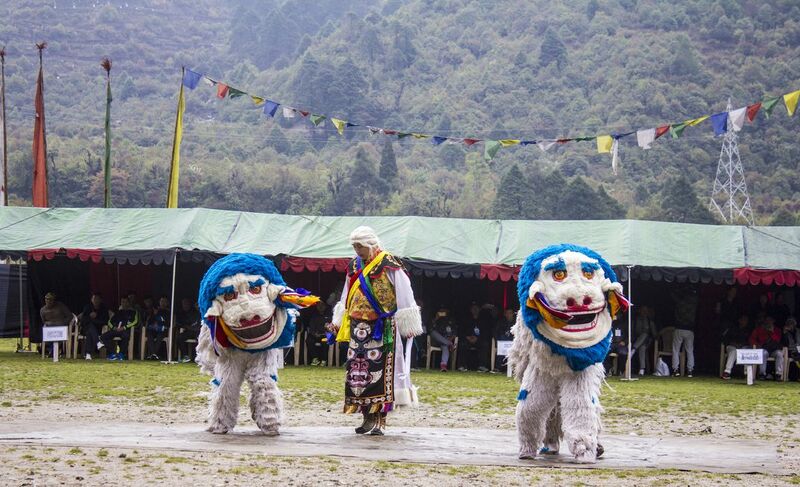 It was being held as a part of inauguration function of a interstate boxing match in Lachung, north Sikkim. The entire village was there to see the function and the matches. Sporting events like these bring the community together and encourage the young to pursue their passions. Date Uploaded: Aug. 18, 2017, 9:15 a.m.